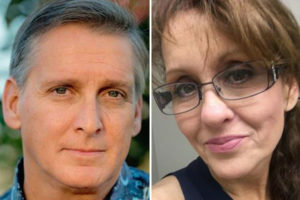 On Tuesday morning, Virginia Paris, 55, called security at the Railroad Pass Hotel and Casino in Henderson, Nevada and said she had been kidnapped. Henderson police then rescued Paris and took her to a Nevada hospital. Authorities have not released information about Paris’ condition. Her alleged kidnapper, Joseph Hetzel, 52, has a violent history that includes using explosive devices with the intent to terrorize, felony vandalism and criminal threats. Hetzel has access to firearms and is considered dangerous. On Friday, Hetzel abducted Paris while the Lompoc woman was in Solvang prompting a multi-state search. On Sunday morning, Hetzel and Paris stopped at a Starbucks in Arizona. After ordering coffee, Paris went to the bathroom, came out and told a female customer that she needed help. Hetzel saw the interaction, grabbed Paris, dragged her out of the coffee shop, kicked her into the car and sped away. Shortly after 7 a.m. on Monday, Hetzel and Paris checked out of a Grand Canyon area hotel. Santa Barbara County Sheriff’s officials then circulated information that they were possibly headed for Las Vegas. Hetzel is still believed to be driving Paris’ black 2015 Chrysler 200 with the California license plate number 7NGE514. Paris tossed the vehicle’s registration paperwork onto the roadway while Hetzel was driving off from the Starbucks in Arizona.